What's in a name? The book we call Microbe would, by any other name, be just as valuable? Yes, it does not need to be introduced as a "treatise" nor does it need any adjective. Such a modest name as "microbe" (a nickname for the more serious "microorganism") certainly does not reflect the wealth of knowledge on the main concepts of microbiology that is contained in this book. Wherever there is life, there are microbes. Therefore, the study of microbes is central to the study of all living things, and microbiology is essential for the study and understanding of all life on Earth. Microorganisms are components of all ecological systems that make up the biosphere. In fact, when microbes were the only inhabitants of the planet, prokaryotes (the first microbes) were the "founders" of ecosystems, making it possible the establishment and functioning of all biogeochemical cycles. Prokaryotes are the only cellular life with a unique, non-hybrid complement of genes. Many species of microbes are the only forms of life that are self-sufficient; that is, only they have the ability to exist indefinitely without any other living beings. Microbes inhabit all locations in which life is possible, from those offering "ideal" conditions for growth (from the point of view of "macroorganisms", of course) to those representing "extreme" (for us, again) environments. The notoriety of microbes as agents of disease has tended to overshadow their vital role in nature. Despite the attacks of pathogens, humans and other living beings have learned to coexist with-and even to depend on-microbes. The coexistence and mutual dependence of humans and microbes, as the authors of Microbe point out, is an aspect of life that we have hardly appreciated. The careful reader of this book will be well-prepared to understand the microbial world, what microbes are, and what they do. Microbe describes the unique characteristics (anatomy, cell cycle, sensing of the environment, cell-cell communication, etc.) of microorganisms as well as their activities (metabolism) in nature-including the human body and other colonizable habitats-regardless of their "good" or "bad" (from the human point of view) consequences. But, what's in the name of a microbiology book? In 1957, The Microbial World (by Roger Y. Stanier, Michael Doudoroff, and Edward A. Adelberg) broke with the style, and contents, of previous textbooks of our discipline. In 1970, Biology of Microorganisms (by Thomas D. Brock) appeared, with new ideas on both the teaching of the discipline and the ecological implications of microorganisms. Microbe is the third, and most recent, "non-canonical" title for a microbiology textbook. It does not include a chapter on the history of microbiology, nor does it update bacterial classification according to the latest edition of Bergey's Manual of Systematic Bacteriology. It also does not include any extensive descriptions of infectious diseases caused by prokaryotes, viruses, protozoa, and fungi, nor does it list the antibiotics, disinfectants, and physical methods used to control microorganisms. Instead, Microbe describes how microbes adjust their activities (such as metabolic coordination, cellular differentiation, and development) in order to survive and even thrive in their environments. The book provides an in-depth discussion of the symbiotic interactions among microorganisms themselves (cell-cell communication, quorum sensing, biofilm formation) and with other living beings (such as Buchnera-aphids, Wolbachia-insects, Xenorhabdus nemathophila-nematodes). The authors emphasize the activities of groups (guilds) of microbes rather than those of individuals. Microbe offers the reader an accessible understanding of general microbiology. Each chapter contains study questions to reinforce the concepts presented and to stimulate discussion among students and their teacher. In addition, a highly valuable study aid is available on the website associated with the book [www.microbebook.org]. There, students-and teachers-will find supplements in the form of links to source material, such as review articles, original papers, illustrations, as well as short video clips and other forms of animation. There is also a link to a tutoring system to reinforce the information covered in each chapter. Microbe is a book of the twenty-first century: it conveys basic concepts, both in physico (paper format), and in silico (links to Internet). Microbe is organized into 23 chapters comprising seven sections. Section I, "Microbial activity", provides the student with a basic background in microbiology. It begins by introducing the outstanding characteristics of microbes. These small-sized, ubiquitous living entities exhibit tremendous metabolic versatility and genetic plasticity (horizontal heredity) -properties that allow them to tolerate and adapt quickly to unfavorable and/or changing environmental conditions. Section II, "Structure and function", deals with the structure of the prokaryotic cell. Bacteria are endowed with sophisticated envelopes that contain molecules not found elsewhere in the biological world. In addition, although prokaryotic cells lack the organelles that characterize their eukaryotic counterparts, their interiors are surprisingly complex in that they contain gas vesicles, carboxysomes, magnetosomes, and other unique structures. Section III, "Growth", examines several characteristics of microbial growth and reproduction. It is a framework to understand how each step in metabolism (fueling, biosynthesis, polymerization, assembly) works to produce a new cell. While cell division, the assembly of cell structures, the polymerization of macromolecules, and the biosynthesis of building blocks are basically identical in all prokaryotes, this is not the case for fueling. Although all of life's energy is obtained by the oxidation of reduced compounds, animals and plants use oxygen, whereas microbes use a wide range of energy sources, including sulfate, nitrate, and ferrous iron. Thus, microbes display a metabolic variety and versatility not seen in the rest of the living world. Section IV, "Inheritance", discusses sources of genetic variation among prokaryotes, such as the horizontal exchange of genetic information and mutations; reviews the wealth of knowledge on microbial genomes that genomics has brought about; and offers a general overview of our current understanding on the origin of life, the earliest living forms, and the evolutionary processes that led to the eukaryotic cell. Section V, "Physiology", explains how bacteria sense their environment, respond as individual cells to specific environmental challenges, and act cooperatively, as evidenced by communal activities including cell-cell communication and community formation (biofilms). These behaviors allow bacteria to overcome the vulnerability inherent to being small and subject to inconstant environments. The last chapter of the section provides some specific examples of prokaryotic development: endospores (agents of survival), Caulobacter crescentus (dimorphic bacteria), myxobacteria (building of the fruiting body). Section VI, "Diversity", introduces a concept that is controversial in biology, that of the definition of species, especially prokaryotic species. Prokaryotes, protists, and fungi are grouped under the term "microbes" because of their small size; however, the common feature of smallness does not necessarily mean phylogenetic (evolutionary) relatedness. Indeed, prokaryotic diversity is so vast that the authors have chosen to briefly describe only a few members of the Domains Bacteria and Archaea, but they also point out the fundamental distinctions between these Domains. Eukaryotic microbes are described in Chap. 16 and viruses in Chap. 17. Viruses play a central role in biology: they have shaped evolution, are constantly involved in ecological relationships between living organisms, and, of course, cause disease. Section VII, "Interactions", focuses on the essential role that microbes have played in forging the Earth's current environment and in maintaining it in a balanced life-sustaining condition. This section also discusses interactions among living organisms. Chapter 19 deals with several mutually beneficial interactions (e.g., bacteria-insects, protist and prokaryotes-rumen or termite's hindgut, nitrogen-fixing bacteria-legumes) as well as those that are one-sided (e.g., the predation of Bdellovibrio); it also covers the production of antibiotics and bacteriocins. Chapters 20 and 21 address the weighty topic of microbial pathogenesis. They start with an overview of the ways in which microbes cause damage to their hosts and the responses that the hosts have evolved to counter these attacks. In this regard, five examples of infectious diseases are discussed, each illustrating a number of features, some unique, others common to many infectious pathogens. The last chapter of the book reminds us of the many beneficial applications of microbes, such as bioremediation, biological insecticides, and the production of microbial enzymes, hormones, and antibiotics. Microbe is a textbook recommended not only to undergraduates but also to anybody interested in microbiology or life sciences. Although several other, very good microbiology textbooks are available, Microbe is unique, as are the living forms that it describes. We, and our fellow "macrobes", are ultimately reliant on the manifold activities of the unseen microbial world. The tiny size of its members belies their tremendous importance. 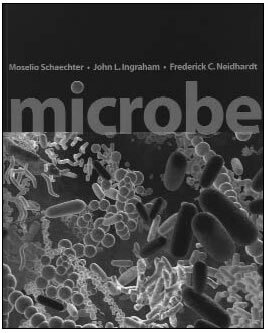 Microbe is truly a labor of love-a product of the passionate interest that its authors, Moselio Schaechter, John L. Ingraham, and Frederick C. Neidhart, have in the microbial world, to which they have devoted so many years of research, and love. These three microbiologists have been frequent contributors to many of the most influential reference works and textbooks on microbiology of the second half of the twentieth century. With this book, the authors again confirm what Francis Bacon (1561-1626) wrote in the Preface of his Maxims of the Law: "I could hold every man a debtor to his profession; from the which as men of course do seek to receive countenance and profit, so ought they of duty to endeavour themselves by way of amends to be a help and ornament thereunto." 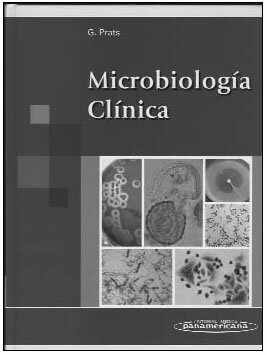 The stated purpose of this book is to provide an introduction to clinical microbiology to students and residents in the health professions. Although it presents a great deal of information, it does not attempt to be encyclopedic. Thus, it occupies a middle tier, between medical microbiology textbooks, where such material is presented in abbreviated form, and the extensive manuals available in this field. I hasten to say that it fulfills its aim admirably. The book is in three parts: After a brief introduction to the concepts of infectious processes, the first one introduces laboratory techniques relevant to the major groups of infectious agents: bacteria, fungi, viruses, and animal parasites. Pertinent principles, practice, and relevant examples are discussed for each group separately. In addition, there are specific chapters on serology, nucleic acid-based techniques, epidemiology, and laboratory biosafety. The second part of the book presents the specific approaches used in diagnosing the agents of the major types of diseases. This section is divided mainly by body systems but also includes such topics as sexually transmitted diseases, hepatidides, opportunistic infections, and AIDS. In addition to culturing techniques and molecular and serological tests, attention is given to sampling methods and direct examination. The third part of the book is an appendix consisting of technical protocols. Laboratory workers will have no difficulty carrying out the methods described since they are presented clearly and in sufficient detail. Many of the techniques are traditional but are still commonly used in diagnostic laboratories; others are still making their entry outside the better-equipped ones. Topics such as nucleic acid-based methods, including PCR (conventional and real time), restriction-fragment analysis, and plasmid analysis, are discussed with useful practical hints. With some specialized equipments, these methods are easy to implement. The book discusses the availability of kits to be used for certain specialized techniques, e.g., immunochromatography and ELISA tests, among others. Automatic methods such as those used for hemocultures are presented in some detail. The illustrations-photographs, drawings, and tables- are of exceptional quality (except perhaps for some of the hand-drawn diagrams). They are of great help in visualizing what is actually seen in the laboratory and the clinic. The part of the book that deals with system-related infections also contains excellent photographs of cases, smears, and histopathological sections. This book would be useful to workers in all countries, thus it is clamoring for a translation into English and other languages. Clinical microbiology is increasingly moving towards automation. This is inevitable but not without a cost as the know-how and insights of skilled clinical microbiologists may diminish in importance and, in time, become less relevant. Much will be lost in the process, and this elder reviewer sees this trend with uneasiness. But it may take a while. In the meanwhile, enjoy the work, before the robots take over completely!